We believe in offering quality AMERICAN MADE goods at discount prices. 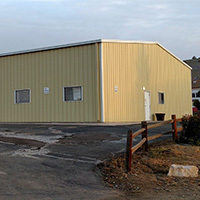 Our commitment is providing all of our customers with solid sales service, installation information, and product support. 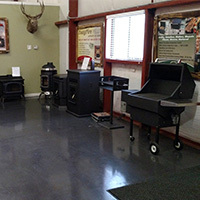 We search the market for opportunities to provide unique items for specialty hearth and barbecue application. Quality products should be backed up by a quality warranty. Many of the products seen on this site are backed by a limited life time warranty. To offer value to our customers is job #1. Look for "Free Freight Specials", Free Accessories, or Bonus Buys. Many products are in stock and will ship in 24 hours. Some products have lead times from the manufacturer of up to two weeks. We are sensitive to quick shipment and are constantly updating our inventories as product markets develop. Unlike many other retailers, our customer service people are there to help provide answers to most installation and service questions. We understand the barbecue and fireplace business. We are there to help you!